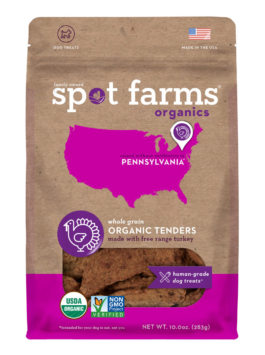 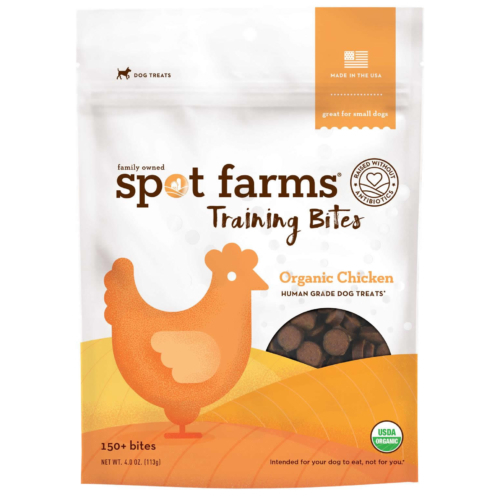 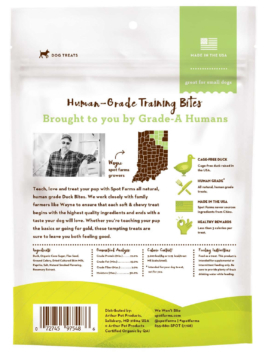 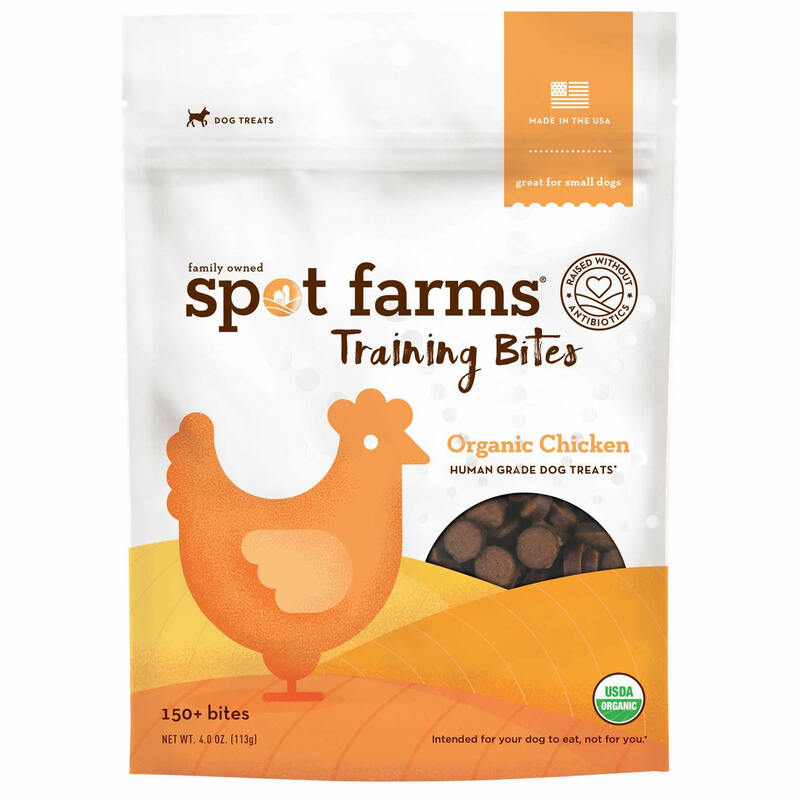 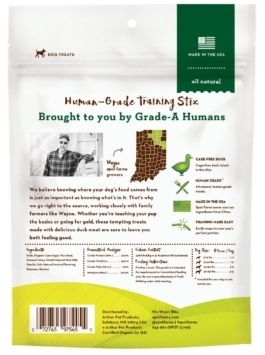 Teach, love and treat your pup with Spot Farms all natural, Organic Chicken Training Bites. 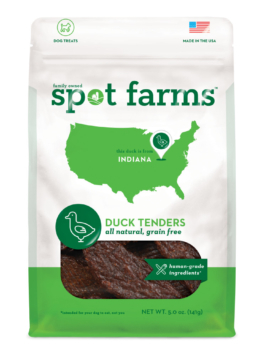 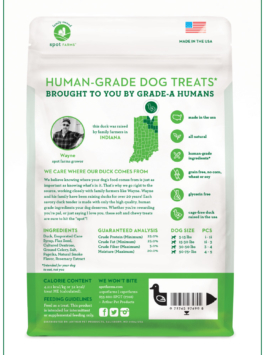 We work closely with family farmers across the US to ensure that each soft and chewy treat begins with the highest quality ingredients and ends with a taste your dog will love. 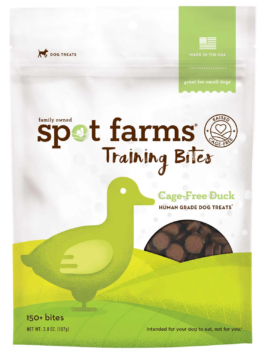 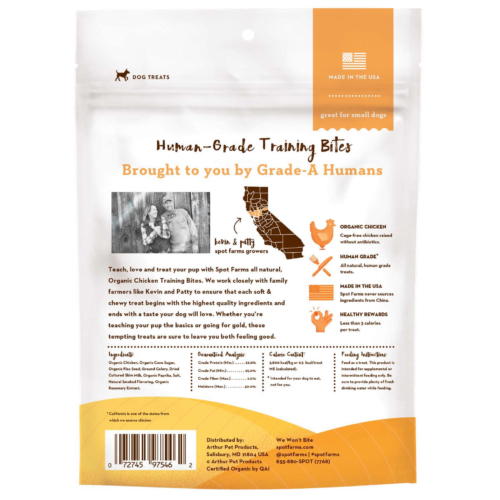 Whether you're teaching your pup the basics or going for gold, these tempting treats are sure to leave you both feeling good. 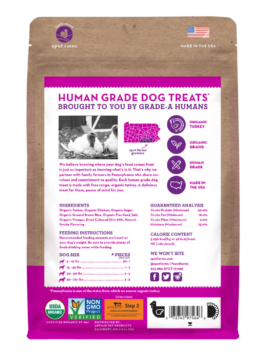 Feed as a treat. 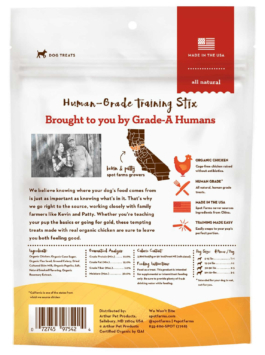 This product is intended for supplemental or intermittent feeding only. 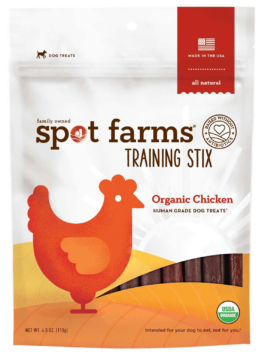 Organic Chicken, Organic Cane Sugar, Organic Flax Seed, Ground Celery, Dried Cultured Skim Milk, Organic Paprika, Salt, Natural Smoke Flavoring, Organic Rosemary Extract. 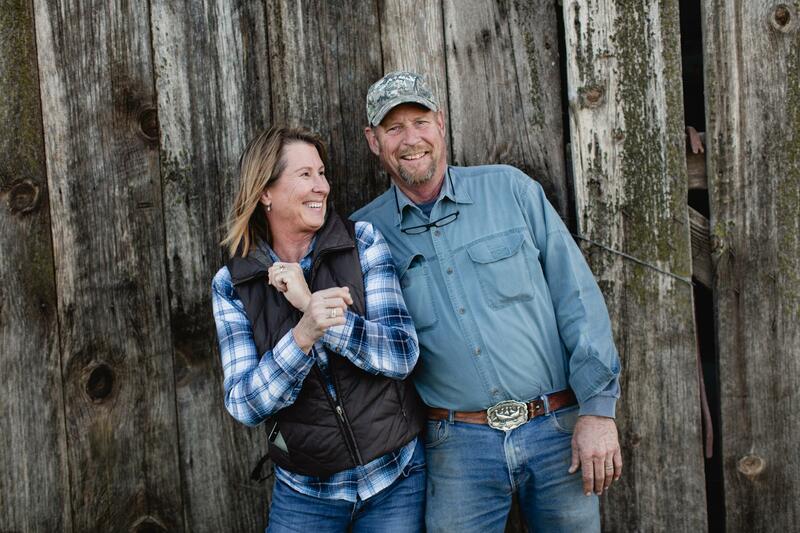 Meet Kevin and Patty. 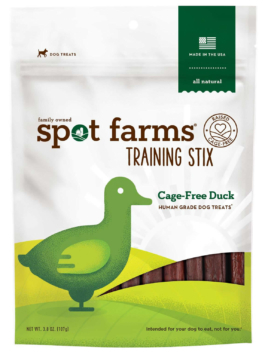 Kevin has been farming all his life on his family ranch.